Dr. Jerry Radas is a chiropractor in Fulton, MD. Are you considering chiropractic care and just aren’t sure who to choose? How do you choose a good chiropractor? 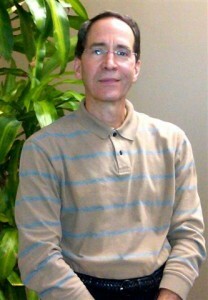 Dr. Radas is a chiropractor in Fulton who volunteers information. He is conveniently located, and he’s willing to take your phone call to answer questions about how chiropractic can help you. Better yet, call today and schedule a consultation. There’s absolutely no obligation. Why a consultation? During that special time set aside with Dr. Radas, he can better understand your health concerns and answer your burning questions. Before you even think about starting any chiropractic treatment, you’ll know what to expect, what it will cost – and most importantly, if it will help. Dr. Radas believes if accepting only those patients for care that he sincerely believes he can help. The only way for him to know that is to meet you in person and learn more about you and your health. Tour our site and then call our Fulton chiropractic office. See why so many of your health-conscious neighbors already have! We proudly serve Fulton community as well as Columbia, Howard County, and Maple Lawn.